With more than 1.3 million LASIK eye surgery procedures performed, The LASIK Vision Institute® provides the best quality laser vision correction for the best value. Discover why we’re a trusted leader when it comes to expertise, affordability, and convenience. We utilize FDA-approved lasers, diagnostic technology, and laser refractive surgery treatments. Our network of independent physicians includes some of the most skilled laser eye surgeons in the country. We offer financing and payment options for every budget. We own all of our equipment and pass on significant savings to you. 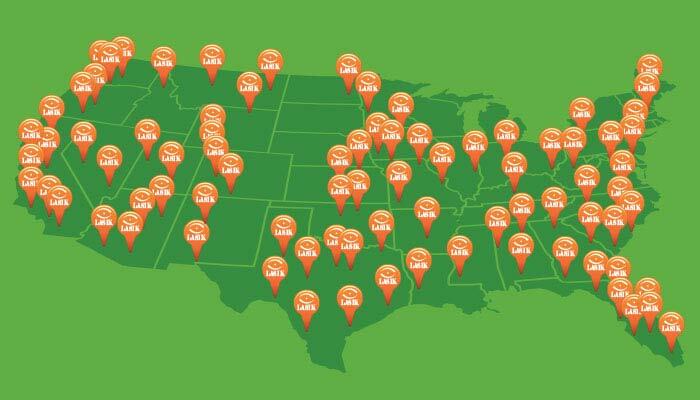 We’re located nationwide – it’s easy to find a LASIK Vision Center near you.